BASF: BASF offers a wide variety of UV light stabilizers namely Tinuvin® UV absorbers and hindered amine light stabilizers to protect coatings from harsh UV radiation from sun for an extended period and preserve the life of the coating. Tinuvin® family of light stabilizers help in preventing change in color or yellowing, delamination, degradation, cracking and blistering while maintaining the gloss of the coatings exposed to radiation from the sun. Borchers: We offer cobalt replacement technology (Borchi OXY-Coat), highly engineered dispersant technology as well as some unique rheology modifiers. Clariant: Clariant is a globally leading specialty chemicals company, based in Muttenz near Basel/Switzerland. It offers a large variety of performance enhancing additives specifically for the paints and coatings industry, with solutions for all major coatings segments such as Architectural, Protective & Marine, Transportation, Wood & Furniture, Industrial and Packaging, and also for printing inks. Their broad scope of performance enhancement ranges from adding protective effects such as improving heat, light and weather resistance to reduce color fading and loss of gloss, to flame retardants with a preferred environmental and health profile for intumescent coatings, processing waxes lending functional end-application benefits and specialty ingredients such as APEO-free wetting agents, label-free dispersing agents, sugar-based neutralizing agents, as well as silver biocides for antimicrobial preservation. Key technologies include surfactants, polyethylene glycols, polyether amines, emulsifiers and polyethylene and montan-based waxes. Dow Coating Materials: Dow Coating Materials offers a broad and robust portfolio of performance enhancing additives across a range of chemistries, including rheology modifiers, wetting agents, surfactants, slip/mar additives, dispersants and defoamers. 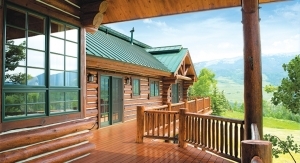 Our wide variety of solutions offer improvements in paint appearance, ease of application, and stability and provide benefits in areas including slip/mar resistance, water resistance, lowered VOC and wetting, among others. keim additec: Surface modifiers in the form of Ultralube® water-based wax dispersions and emulsions, Ceralene® solid and mju:wax® micronized waxes and non-wax-based SILCO dispersants, flow/leveling agents and defoamers. Lonza: We offer additives to protect coatings from microbial attack, both in the liquid state during manufacturing and distribution and in the dry state after application. Micro Powders: Micro Powders offers the most comprehensive range of micronized waxes and surface additives available. Our precisely micronized fine powders provide surface protection (mar/scratch/abrasion resistance), gloss reduction, water repellency, tactile properties (texture/soft touch), and special effects (colored powders). Unimin: Unimin offers a complete selection of mineral filler additives for gloss control, UV stability, flame and smoke suppression, UV/EB cure synergy plus transparency, and food packaging coatings. Global sales, distribution and manufacturing networks are in place. 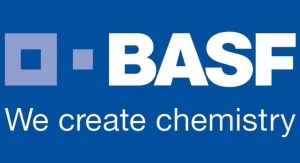 BASF: Light stabilizers are pivotal in any coating systems always exposed to harsh UV rays and other strong radiation from sun. Light stabilizers help in preventing gloss reduction, delamination and degradation of coatings over an extended period. They help in preventing the change in color or yellowing of the coatings. Customers who use light stabilizers benefit from increased quality of their products including maintaining aesthetics and appearance of the coatings. 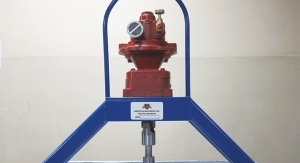 Borchers: Our unique dispersant technology provides a clear advantage in pigment wetting, therefore providing higher jetness, stronger color development, shorter grind times and lower viscosity. This results in a lower formulated and productive costs. Our Borchi OXY-Coat products provide a unique cobalt free drier alternative. It delivers faster oxidative cure, better drying in adverse conditions and much brighter whites. It can be used in many different types of applications, marine, general industrial and architectural. Clariant: The benefits to the customer are very much dependent on the individual additive and its application. The added value of these types of additives can be seen in many different aspects. Cutting formulation complexity for our customers is one of our aims. With this in mind, our main focus lies on multifunctional performance and sustainability advantages while providing specific guidance on the product functionality and use. As a result of extensive internal profiling of our wetting and dispersing agents portfolio, we are able to provide very concise information on additives’ various functions at different processing stages, suitability for different coating systems and of course formulation benefits and “side effects”. Providing one additive for multiple applications and with multiple benefits can lead to less ingredient use, lower inventory, less logistics and less costs – a big boost for any customer. To take a different aspect, within the coatings industry Clariant is well known for the consistently high-quality ammonium polyphosphate that can be used on a wide range of materials (most important of which is steel) for use in building structures. Clariant’s EXOLIT® AP 422 ammonium polyphosphate for intumescent coatings is considered as a benchmark in the industry. 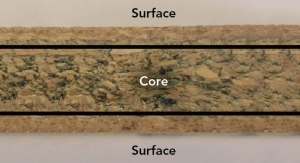 Coatings incorporating these additives as acid donors form foam chars in fire situations, slowing down the transfer of heat to the substrate and reducing loss of structural integrity. Customers benefit from higher performance levels like clearness, brightness, smoothness, UV-stability, durability under exposed conditions of coatings, or simply from fulfilling building requirements like fire retardancy / fire resistance. Clariant’s waxes from the CERIDUST® and LICOWAX® lines help to protect and beautify surfaces, providing excellent control over feel, texture and gloss, and also serve as invaluable aids in many processing steps. Customers benefit from better haptic effects like silk touch, better protection and easier cleaning of wood products like furniture. In addition, wax additives also have an impact during the production of a coating. 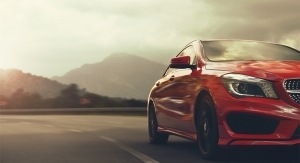 For example, by using CERIDUST® 9615 A, powder coating manufacturers can offer coating solutions with optimized protection properties in the cured film in a car rim. Another example is LICOWAX® PE 520, which can help with the pigment dispersion in coatings for bicycle frames. Adhesion properties on the surface can also be adjusted. With Clariant’s CERIDUST® 6050 M window frame coatings have a better adhesion to silicon sealants to ensure improved heat transfer or insulation properties. The performance additives from the HOSTAVIN® and HOSTANOX® series improve weathering resistance and reduce color fading and loss of gloss. These benefits translate into longer lifetime of the coatings, in maintaining the shining, glossy effect longer and in delaying the discoloration of the wood substrate or color fading in automotive and architectural coatings. Dow Coating Materials: Performance enhancing additives can help boost formulations to a new level, helping paints, inks, and coatings stand out among the competition. 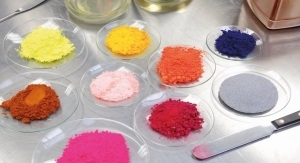 While there may be some additional cost associated with the use of these types of additives, the efficiencies or performance enhancements they offer outweigh the higher price point. keim additec: Our additives help the formulator balance and fine tune the surface properties of their products. Improvements can be achieved in; longer life cycles, durability, surface protection/modification like e.g. scratch resistance. Lonza: Microbial control additives protect the value that the coating’s formulator builds into their formulation, and they also protect the formulator’s reputation. Typically, the cost of the microbial control additive is small compared to the value of the formulation, and so the tradeoffs among microbial control additives are more often about avoiding undesirable impacts on the formulation. For example, MIT is a commonly used preservative ingredient, however it can show up as a VOC, and this downside might more than offset its benefit in the preserved product formulation. Micro Powders: Our additives are like medicine in a coating. A customer needs to use the correct additive to get the desired effect in their application, and we “diagnose” surface performance challenges with our customers every day. In addition, they should always optimize the dosage level to use as little as is necessary to achieve the surface modification they need in their system. Unimin: Natural and precipitated mineral filler additives provide excellent property enhancements with the best or competitive economics compared to many synthetic additive options. Benefits include gloss control, UV resistance, flame and smoke suppression, UV cure compatibility, surface hardness, water spot resistance, and scratch resistance. 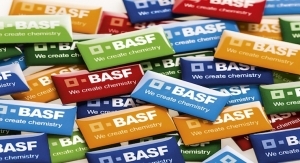 BASF: The following should be taken into consideration while selecting light stabilizer performance enhancing additive: 1. Water-borne or solvent-borne coating system where light stabilizers will be used will influence the choice. For example, for water-borne coatings systems, BASF offers Tinuvin® DW based on our proprietary Novel Encapsulation Additive Technology (NEAT) in which active substance is encapsulated within an acrylic polymer. 2. Clear or pigmented – A heavily pigmented system may not need light stabilizers while a clear coating system or slightly pigmented system will need light stabilizers. 3. 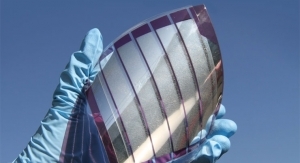 Dry film thickness of the final coating will influence the choice and quantity of light stabilizers used including combining UV absorbers and hindered amine light stabilizers which work synergistically to protect coatings from UV exposure. 4. Warranty – Automotive OEMs typically offer 10-year warranty on coatings and as such they need light stabilizers which can protect coatings for the intended duration and more. 5. Substrates – To a certain extent the type of substrates also influence the choice of light stabilizers. BASF offers Tinuvin® CarboProtect specifically developed for solvent borne coatings over carbon fiber reinforced plastics and epoxy matrix. Clariant: As with the benefits, the considerations to be taken into account when choosing a performance enhancing additive will depend on what the formulator is looking to gain for their formulation. In general, they should consider overarching trends in aspects including aesthetics, health and wellbeing and eco-label requirements, convenience and multi-functionality, and operational efficiency, as well as the desired effect to be achieved with the coating. Formulators can choose from an enormous variety of additives and we understand how important it is for a paint formulator to be able to quickly identify the most appropriate additive for the requirements of their new development or an existing formulation problem. The extent can be seen quite simply by looking at the broad selection within our own portfolio. Clariant’s additives can provide several functions, for example water repellence effects for outdoor coatings with CERIDUST® 3910, matt or structured powder coating finishes for anti-fingerprint coatings with CERIDUST® 3940 F or CERIDUST® 3941 F, or slip for easy cleaning provided by CERIDUST® 3920 F.
For Clariant’s light stabilizer additives, the key considerations formulators should make are the level of performance requirement, the ease of use as well as the EHS labeling. For each of those considerations, Clariant offers innovative solutions. For Intumescent Coatings for fire protection, a high quality and consistency of key parameters of ingredients is crucial for producing premium coatings not only with excellent fire performance but also good applicability and storage behavior. It is because of the vast choice available that for specific processing ingredients we have scrutinized our portfolio to identify performance parameters and side-effects. We offer usage recommendations with more narrowed dosage levels than our competitors do and support our customers in regulatory questions and give guidance for ecolabel certifications. keim additc: By first focusing on the desired end properties as well type of formulation and working to balance the other formulary constituents, the selection of the proper additive must also consider price/performance along with any possible regulatory requirements. Lonza: Microbial control additives, in common with many other types of additives, require a significant investment of time and effort to evaluate initially and then roll out into commercial use. In cases where the additive has to be replaced again a year or two later, the full value of that invested time and effort is not realized. Formulators should therefore consider if the additives are “future proof” and if so represent viable long-term options. In the case of microbial control additives, it is therefore important to consider changes on the horizon for biocide regulations, and to select additive options which are likely to survive even if today’s regulatory trends later manifest as tomorrow’s new regulations. Micro Powders: Many times a formulator has a choice of using larger amounts of a less expensive wax additive, or using lower dosages of a higher performance product. In many cases, a more expensive additive ends up being more cost effective because of their improved efficiency vs. less expensive additives. At low dosage, a high performance wax can enable a lower total formulation cost by overcoming coating flaws in an otherwise lower performance resin/binder/pigment system. Unimin: Considerations are; 1: Compatibility with current system and contribution to desired effect. 2) Are there side effects, and if there are do the benefits outweight the time to adjust or include other additives. 3) is there a simpler solution 4) Health and safety.